Hosthine! Make Your Hosting Experience Pleasant And Smooth with the fastest web hosting. 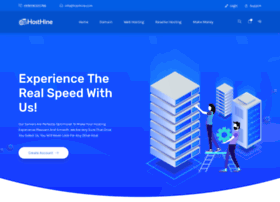 With Hosthine you'll get cheap hosting and unlimited web hosting.